“TO me, a building – if it’s beautiful – is the love of one man, he’s made it out of his love for space, materials, things like that.” (Martha Graham). Our construction workers are among those dedicated men. 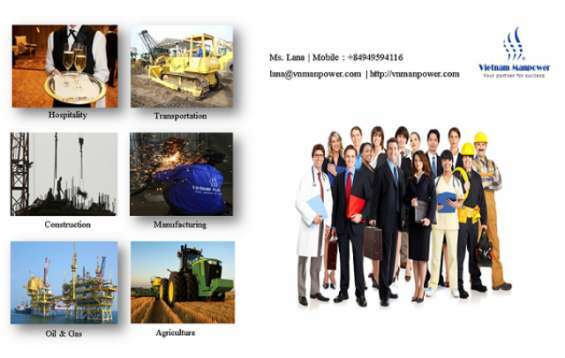 As one of most trusted placement agencies, Vietnam Manpower Service & Trading Company (VMST) has been active in supplying a multitude of Vietnamese employees of different levels and from different industries to work overseas. Among them are construction workers. If you are looking for offshore construction manpower with devotion, skills and hard work, they would be Vietnamese workers. Wanted indian internet workers. no investment.